Three people are recovering from bites after they apparently mistook a litter of bobcat kittens for domestic kittens in Texas. 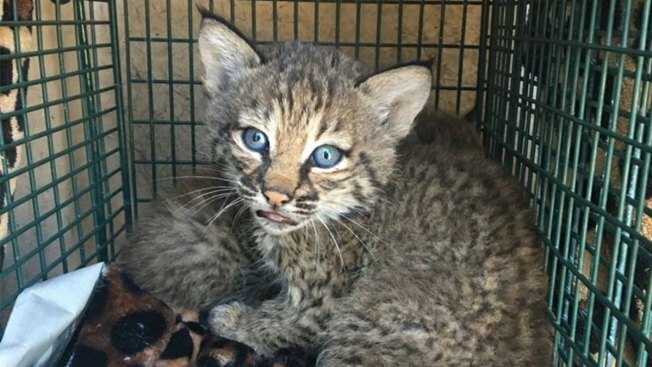 They found the blue-eyed, stub-tailed pair of young bobcats in a San Antonio alley Saturday, thinking they were Bengal kittens. They fed the bobcats milk from pet-feeding bottles, but realized something was amiss when the aggressive animals tore the bottles apart and bit them. Officials with the City of San Antonio Animal Care Services were called and removed the animals. The kittens are now at Wildlife Rescue & Rehabilitation in San Antonio, where there are now under quarantine. The organization warns that keeping wild animals as pets is difficult and dangerous.